Another development site could be joining the South Bronx’s residential boom. The waterfront property at 399 Exterior Street is on the market, with owner Pantheon Properties aiming to get more than $30 million for it, Crain’s New York reported. The site has room for about 300,000 square feet of residential space. The lot is currently used for parking — and is less than a mile away from the sites Brookfield Property Partners acquired earlier this year. Brookfield is developing one of the largest projects in the Bronx, with plans for about 1,300 new apartments at 2401 Third Avenue and 101 Lincoln Avenue. Meister told Crain’s the site has also drawn interest because it’s in an Opportunity Zone. Pantheon previously put 399 Exterior Street, a former bus depot on the Harlem River, on the market, after the city moved to take part of it for a public park through eminent domain. The adjacent lot at 355 Exterior Street belongs to Borden and is similar in size. The sites, which one source estimated might fetch in the neighborhood of $70 million, measure approximately 120,000 square feet in floor area and could give way to 600,000 square feet of residential development under current zoning regulations. The Lightstone Group is again adding to its South Bronx holdings, buying a massive land parcel in the area for $59 million with plans to build a 2,000-unit residential development across that parcel and a site it purchased late last year. 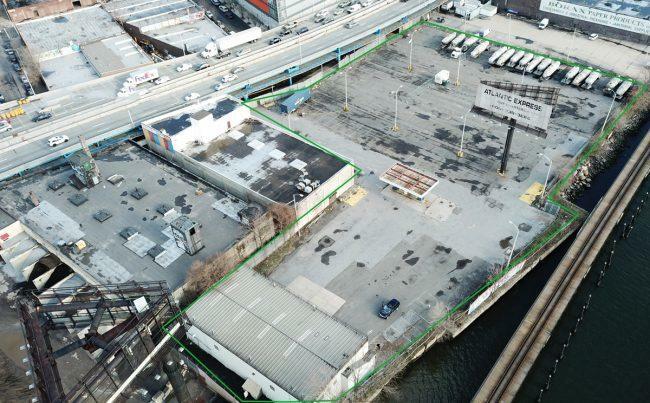 The two sites at 399 and 355 Exterior Street in Mott Haven are an empty lot and a former bus depot, the Commercial Observer reported, and add up to nearly 600,000 square feet. Pantheon Properties owned 399 Exterior Street, while Borden Realty owned 355 Exterior Street, and Lightstone bought the properties in an all-cash deal.